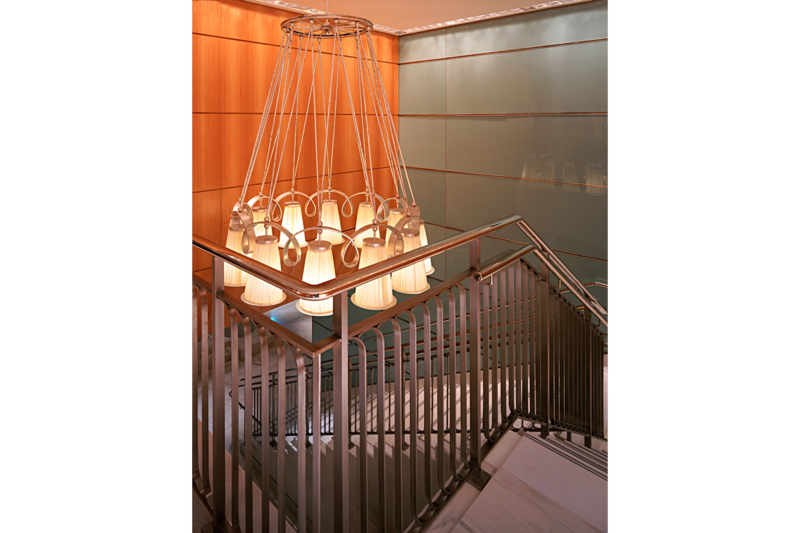 The lobby and public spaces of this downtown hotel were created from the transformation of street level retail shops on the ground level of a former art deco office tower. 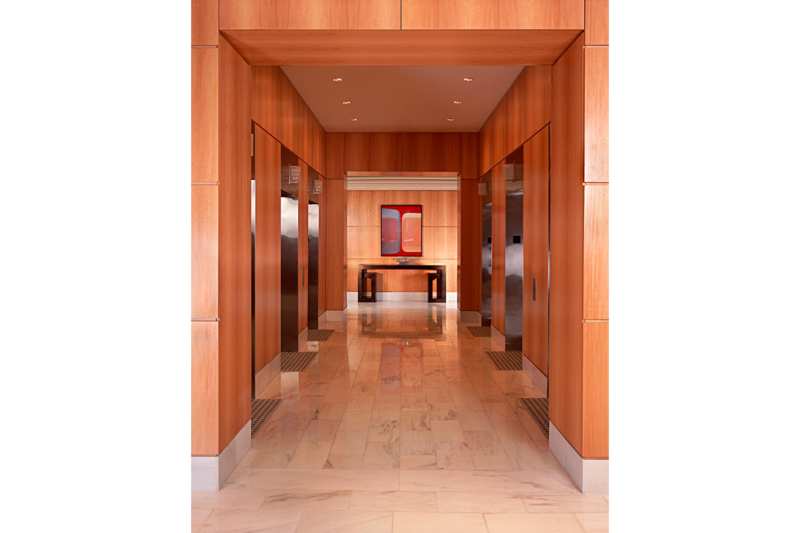 The 7,000 square foot architectural renovation took its cues from the streamlined details and motifs of the original building, and much of the building’s marble wainscotting was re-used as lobby flooring. 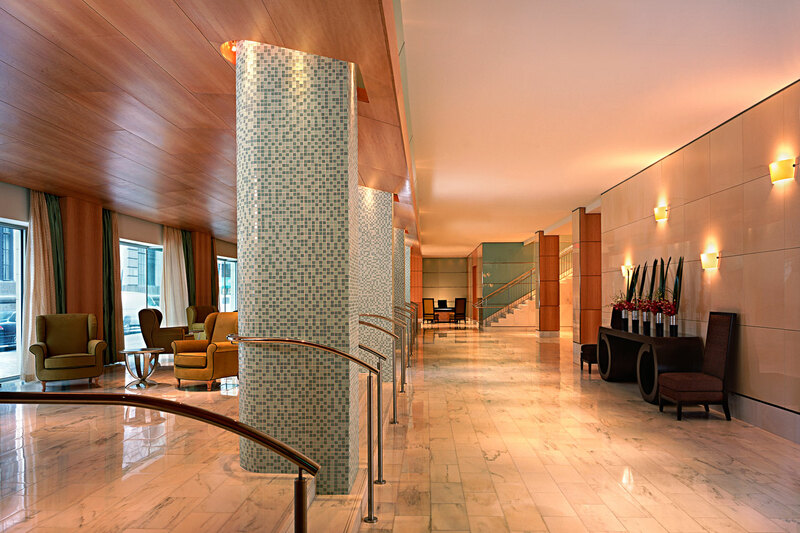 A palette of cool white marble and glass wall tile was juxtaposed to warm aniegre wood paneling, all united by continuous horizontal reveals. 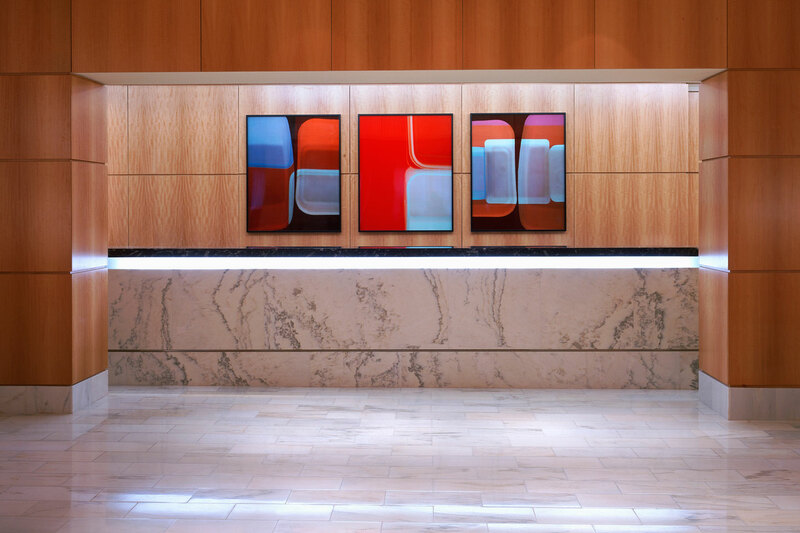 Huge neoclassically inspired mahogany consoles anchored the large open spaces, and artwork by London based photographer Richard Caldicott provided vivid color to the otherwise monochromatic rooms. Furniture and fixtures designed by the architects include the consoles, chandelier, built-in marble banquette, concierge desk and reception desk.